If you are an endurance athlete and live in the Northern hemisphere the chances are that you’re now in the off-season and you are probably training with less volume and intensity. For those following metabolic efficiency (synonymous with blood sugar control), remember that periodising your nutrition is also a key part of the concept; certainly during the off-reason you won’t need as many carbohydrates as you did during the racing season. Not only use the off-season period to plan your exciting races for next year, but also spend time working on your metabolic efficiency again. To help you do that I’m going to share a couple of my own recipe ideas. I hope you enjoy them! 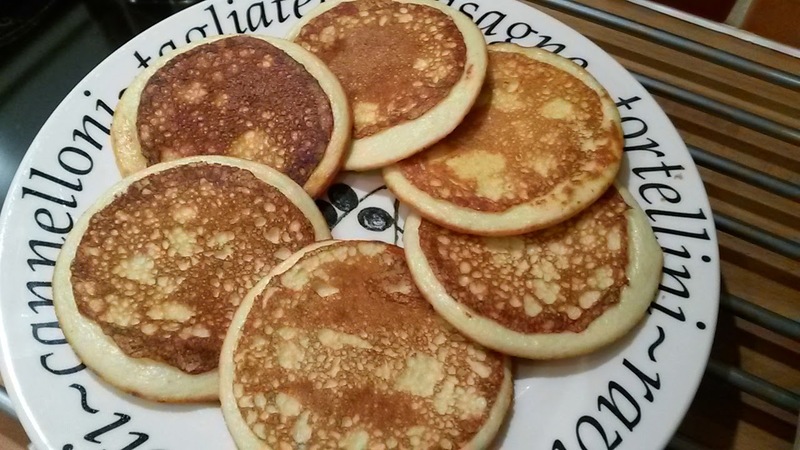 Almond Flour Pancakes – if you search online there will be many almond flour pancake recipes out there and I have tried several in the past. With a bit of experimentation I came up with my own recipe which I make regularly. They are easy to make and can be enjoyed in many forms. I particularly enjoy them as a bacon and egg sandwich and a coffee on a Sun morning, or with sugar-free peanut butter and raspberries/blueberries on top. I make sandwiches with them during the week to take to work as lunch with a filling of tuna mayo or cheese and ham. Once you learn how to make them you can use your own imagination and eat them the way you like. Ideally you will also use a mini frying pan (10cm diameter), this makes them nice and uniformly round and olive oil spray. Mix the egg, oil, salt, vanilla and whey protein well in a measuring jug. Then add the almond flour, milk and baking powder to the mixture and whisk well until combined. You want a batter that is not too runny or too thick, you can adjust this by adding a bit of extra milk or almond flour. Heat up your mini frying pan on a medium heat and spray the surface with olive oil. Then pour enough mixture to cover the surface of the pan and cook until bubbles start popping open or the batter has started go brown in colour underneath. You will need a metal spatula to flip the pancake and cook the opposite side. Repeat the process of spraying the pan before cooking each pancake. You will normally get 5 to 6 pancakes with each recipe; it can be doubled if you want to make more pancakes. They can last around 3 days if stored in an air proof container. Tips: You can easily mess up the first pancake if you don’t have the patience to wait for the pan to fully heat up. Also try mixing a bit of coconut flour to the mixture to vary the flour from time to time. 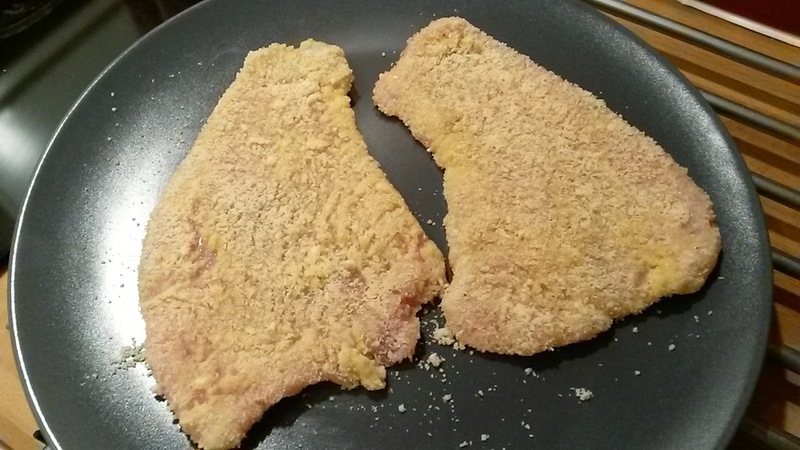 Thin-cut Turkey steaks in an Almond flour batter – this recipe is a real winner with my kids and my wife and I probably make it once a week. 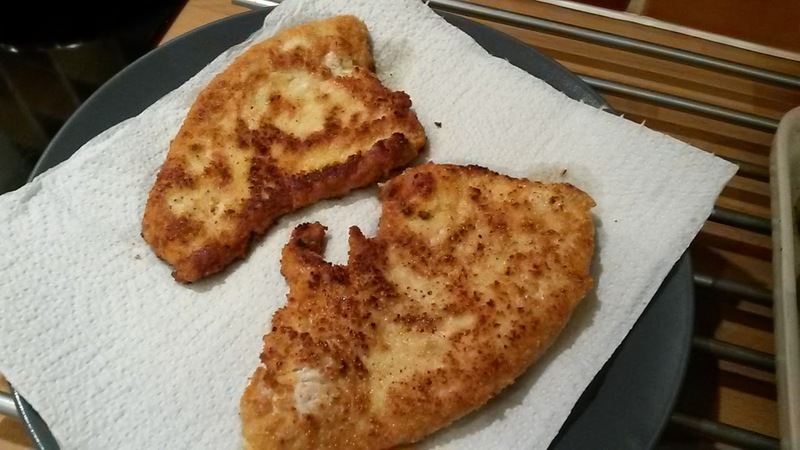 I borrowed the idea from one of my mum’s recipes; however she uses chicken and breadcrumbs rather than almond flour. For my family we easily get through 6 turkey steaks for dinner, so adjust the recipe according to your needs. Whisk one egg on top of a plate and season it with salt. Add enough almond flour/ground to cover another plate. Cover both sides of a thin-cut turkey steak with egg then dip one side at time on the almond flour until it’s completely covered (see pic) and place it on a clean dish. Repeat the process with each turkey steak. Once done, let them dry and settle a bit on the side before frying. When ready to eat shallow-fry each steak on a medium to high heat until golden and crisp. Place them on another plate covered with kitchen towels to remove the excess oil. I use beef dripping to fry them rather than highly processed vegetable (including sunflower/ canola, etc) and corn oils. I love them served with a bit of mayonnaise, roasted cauliflower and courgettes and fried pointy red peppers. Tip: if you can’t find thin-cut turkey steaks you can always buy normal sized and flatten them with a tenderiser and chopping board. If you’re tired of the same breakfast every day, why not try making this ‘muesli’.